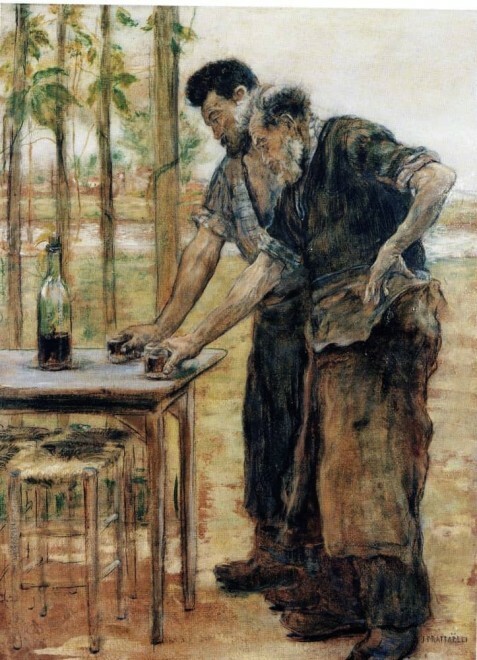 9 7/8 by 7 3/4 in. 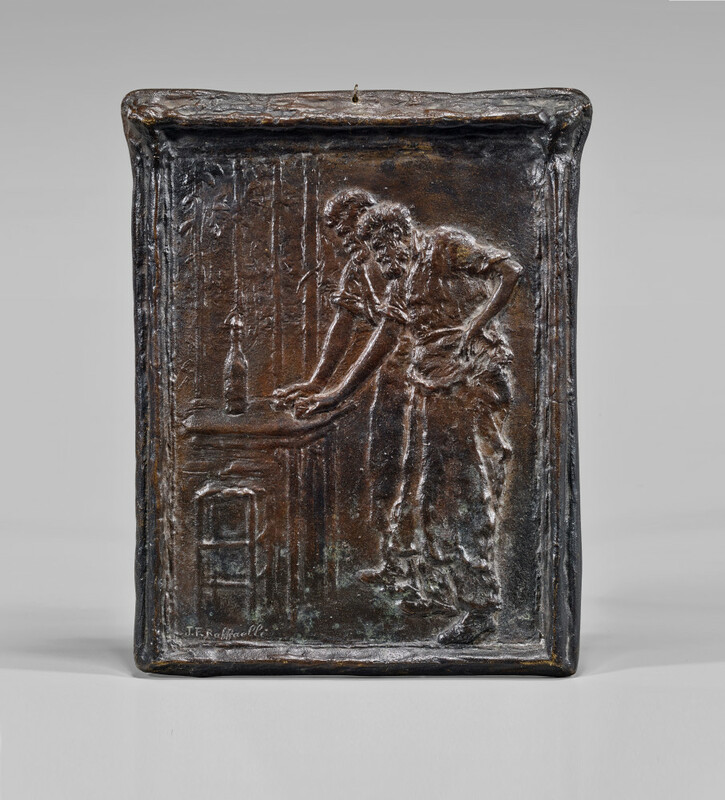 This rare bronze is based on Raffaëlli’s well-known painting of the same title in the Musée de la Chartreuse in Douai. 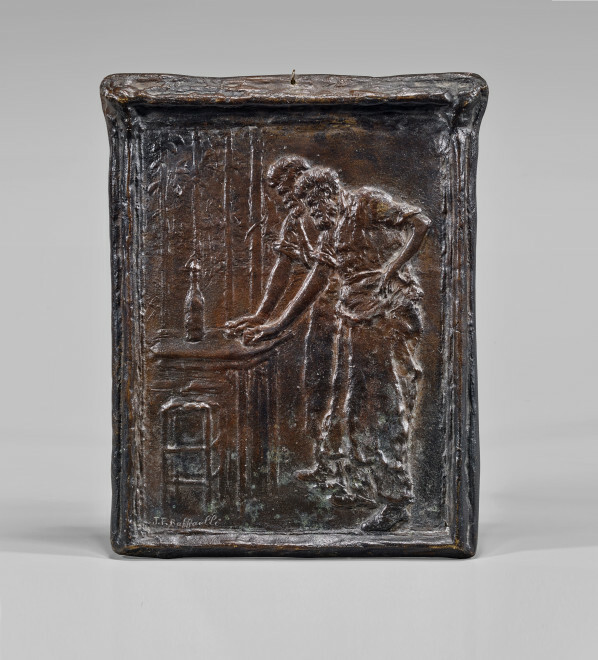 This rare bronze plaquette is based on Raffaëlli’s well-known painting of the same title in the Musée de la Chartreuse in Douai. 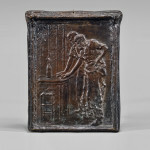 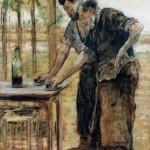 As the poet, Gustave Kahn comments in his review of the Eugène Blot exhibition, the subject of the painting, which depicted two workers from an iron forge, may have inspired Raffaëlli to cast them in the same medium as their métier.